Shop Old postcard. Joyous Eastertide. Poem, harp, hymn book, embossed. 1913. Old postcard. 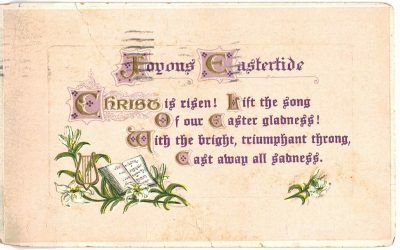 Joyous Eastertide. Poem, harp, hymn book, embossed. 1913. 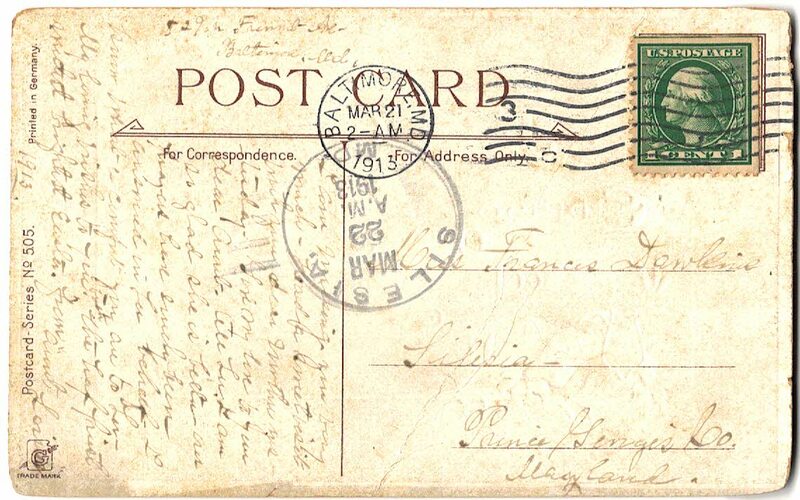 Publisher: Postcard Series No. 505. 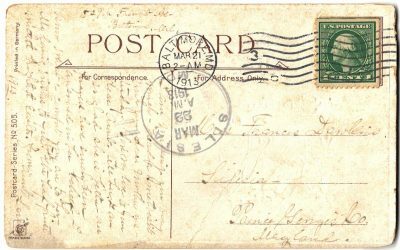 Condition: good, spots, diagonal crease, postmarked 1913.